Day 5 of the partypoker POWERFEST brought out the big guns, with huge six-figure paydays and a couple of players who made multiple final tables. Let’s start with the biggest buy-in of them all: Event #29 $5,200 Super High Roller Championship Event. The No Limit Hold’em tournament attracted 195 runners, and the player who banked the lion’s share of the $1M prize pool was none other than Andras ‘probirs’ Nemeth. He took it down for $177,934.63, bringing his career online earnings above $8.5 million. A former PocketFives no.2 player (currently ranked no.8), Nemeth chopped the event heads-up with ‘rdcrsnn’, who won $173,965.63. ‘rdcrsnn’ also won the POWERFEST SHR 6-Max NLHE back in May for $225,505. Sweden’s ‘Algorhytm’ also had a nice payday yesterday, winning Event #31 High Roller: $1,050 No Limit Hold’em Mix-Max. That tournament got 505 runners, and ‘Algorhytm’ came out on top for $80,500. You’ll notice a couple of names appear multiple times on our results list below. ‘AllinMassimo’ final tabled both Event #28 High: $215 No Limit Hold’em 6-Max, and Event #30 High Roller: $530 No Limit Hold’em Progressive KO, finishing fifth ($7,087) and sixth ($4,902) respectively. Likewise, Finland’s Olli ‘Jarildur1’ Ikonen final tabled Event #32 High Roller: $530 Pot Limit Omaha Hi 6-Max, finishing fifth for $5,670. He followed that up in Event #33 High Roller: $530 Fast Pot Limit Omaha 6-Max Progressive KO with a runner-up finish for $10,656. 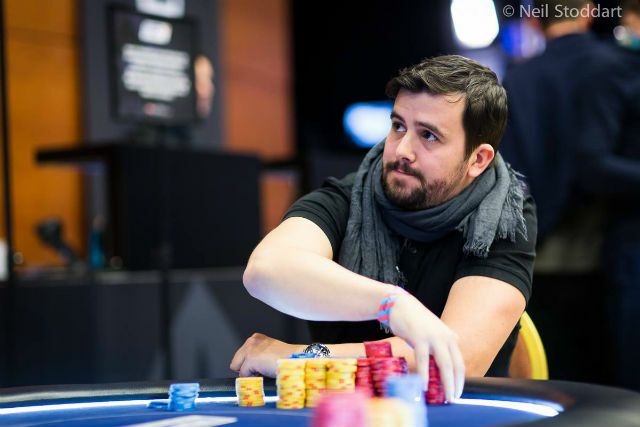 Other winners in the High and High Roller buy-in level and above on Thursday included ‘savageplenty’, ‘sgsabioni’, ‘virophage’, ‘strangejelly’, ‘Sssaid78’, ‘DareU2betMe’, ‘leena82’, ‘Captain_Tsubasa’, ‘Kastusik33’, and ‘mmmmRektUWillBe’.